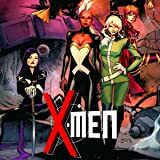 As natural phenomena tear the Black Rock Desert apart, with Storm stuck deep in the Earth at the epicenter, the X-Men race to find answers and save their teammate! 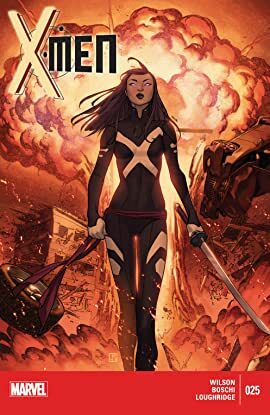 And while some of the team follow a lead that takes them to the Inhuman Queen Medusa, Psylocke makes an explosive discovery of her own! Because you demanded it! 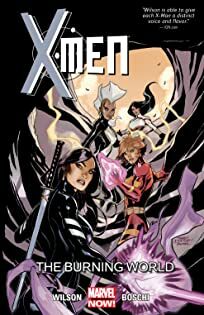 The X-Women finally get their own book! An old enemy shows up at the X-Men's door, seeking asylum from an ancient evil come back to earth. Meanwhile, Jubilee has come home, and she's brought with her an orphaned baby who might hold the key to the earth's survival -- or its destruction.